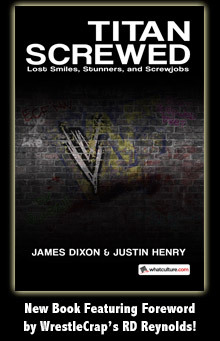 Headlies: WWE Mourns The Loss Of JTG - WrestleCrap - The Very Worst of Pro Wrestling! Columbus, OH – WWE dedicated this week’s edition of Friday Night Smackdown in Columbus, Ohio to the memory of former WWE Superstar JTG. A number of wrestlers were released last week in an event many have dubbed “Black Thursday”. While some of the releasing were expected, the loss of JTG hit many by surprise. A candlelight memorial was held in JTG’s hometown of Brooklyn while tributes sprang up across the internet. Storylines and promos were suspended for this taping as many in the company felt it would not be right to continue on without acknowledging JTG’s departure. The open to the show saw the entire locker room gather on the top of the ramp, many wearing black doo-rags. Vince McMahon, who hasn’t been seen on WWE television in months, appeared to give a heartfelt speech. A ten-bell salute rang through the silent arena as all in attendance paid their respects. Many wrestlers broke character including a visibly-distraught John Cena and a red-eyed RVD. In-between matches, several wrestlers recounted their feelings and memories about JTG. 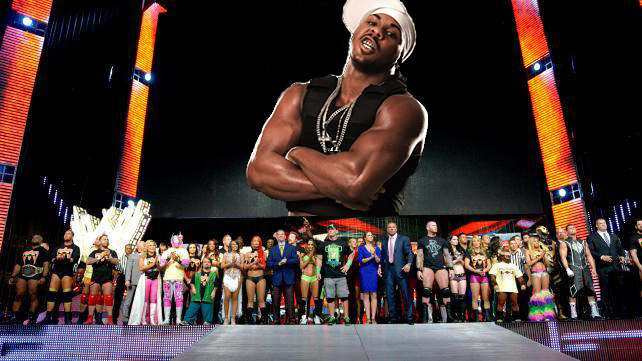 “Money..money…yeah…(sigh) yeah,” said a weeping Big Show. 5 Responses to "Headlies: WWE Mourns The Loss Of JTG"
Be shocked if that Ryback tweet was NOT real. I hold those three letters dear to my heart now and now think of them as Just Truly Great in honor of our fallen comrade. RIP JTG aka Little Jimmy. Seen by few, loved by all. R.I.P. Wrestlecrap headlies’ favorite running gag.